A report published on Wednesday by the official Philippine News Agency, quoting a named government spokesman, says “no construction” of a new casino will be permitted on that nation’s holiday island of Boracay (pictured). “The President [Rodrigo Duterte] had already decided and announced that no construction of a casino on Boracay will be allowed,” Secretary Eduardo Año, officer-in-charge at the Department of Local and Interior Government, was quoted by the agency as saying during an event in Pasay City. “The people go to Boracay to swim, not to gamble. So there will be no casino there,” Mr Año added. The reiteration of the President’s position on the topic came the same day Roy Cimatu, the country’s Secretary of Environment and Natural Resources, affirmed that Boracay would reopen for tourism from October 26 onward after a six-month shutdown said to have facilitated an environmental clean-up. In early April, prior to the temporary shutting down of tourism at the destination, presidential spokesman Harry Roque had already said there would be “no new casino in Boracay”. Mr Roque had added at that time that he wasn’t aware of an announcement in March that the country’s casino regulator, the Philippine Amusement and Gaming Corp (Pagcor), had awarded a provisional gaming licence to Macau casino operator Galaxy Entertainment Group Ltd for Boracay, with the development to be pursued in partnership with a unit of local firm Leisure and Resorts World Corp.
Galaxy Entertainment and its Filipino partner, AB Leisure Exponent Inc, had said they wanted to build a US$500-million gaming resort on a 23-hectare (57-acre) site at Barangay Manoc-Manoc on Boracay. 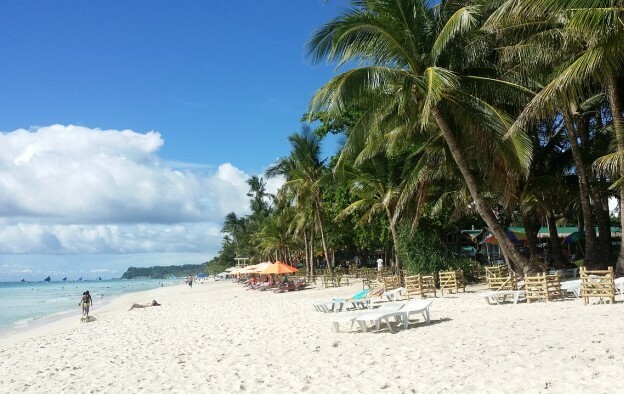 The national government ordered a shutdown of tourism to Boracay on April 26. Prior to the move, Mr Duterte had described Boracay as a “cesspool”. It was reported he was referring to untreated wastewater that hotels and other establishments allegedly had been dumping into the sea. The President has also raised the issue of land rights on Boracay, with a suggestion that post clean-up, locals would have more control over the matter.